For a very important reason, it’s meant to be a confirmation of the respect the companies have for each other. 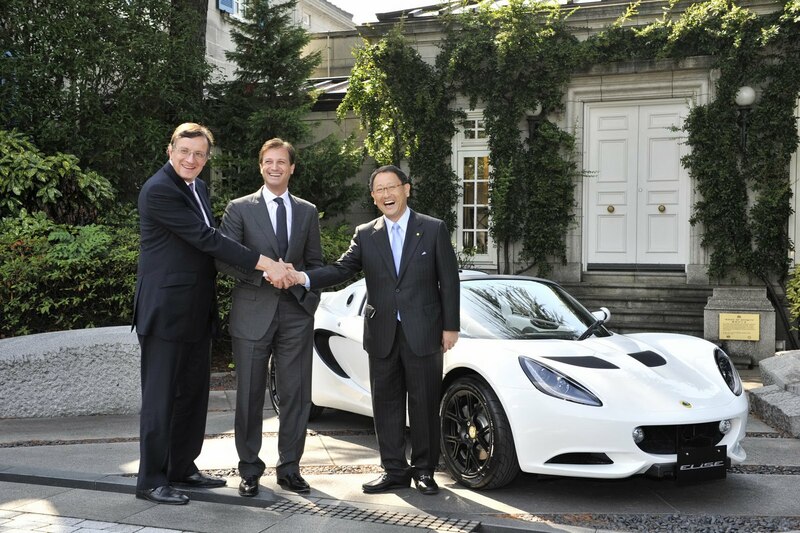 Gifting a Lotus Elise to “the boss” isn’t exactly something to make him chuffed for resale value but it is a gesture of great symbolic value and a token of appreciation for the long term partnership the British from Lotus have with the Japanese from Toyota. In case you’re not one that’s of old with the automotive industry or Lotus you should know that just about any produced version of the lightweight racers is powered by an engine sourced from Toyota. As befits the job, any such event wasn’t your average package delivery signing and there was a short photo session and the handover was made by none other than Lotus CEO, Danny Bahar. Speaking of the handover, the keys weren’t to any Lotus Elise, but rather to the very last one produced with a 2ZZ-GE VVTL-i engine built. The meeting didn’t take place in order for them to celebrate their past but also speak of the future of their partnership. 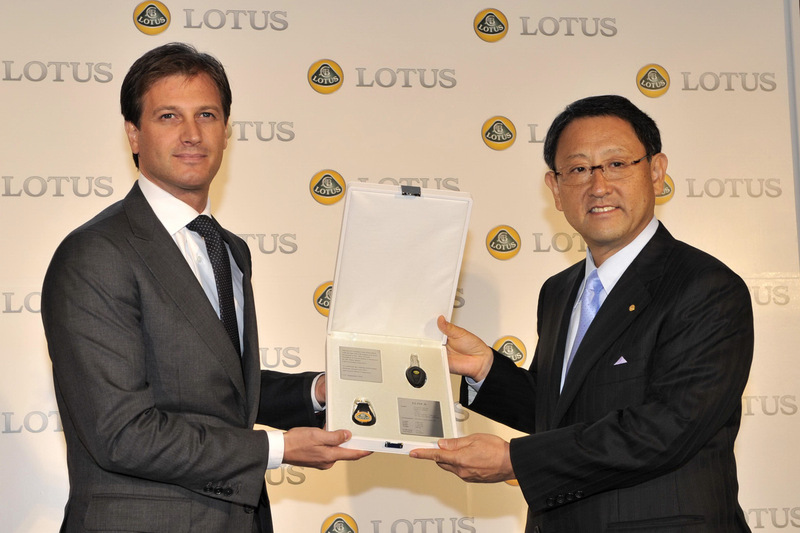 Even though Lotus is now owned by Proton, neither of the three companies have issues with this partnership as it is a success, Lotus exists and produces reliable cars, Toyota is selling engines and Proton is making money. It’s not actually that simple and when focused on the important parts of the business Lotus will soon unveil its Toyota-powered Evora S and Evora IPS models in Paris, while the 414E isn’t going to be leaving the pipeline very soon as it sits tight awaiting some sort of investment from the British government. The tastiest rumor to come up in relation to this event is that the foretold Lotus Esprit flagship may be powered by the Toyota 1LR-GUE V10 engine which if you don’t speak geek you might know as the engine found in the Lexus LF-A.